The operating assets of W.B. Riggins Tallow Company, Inc. have been purchased by Birmingham Hide & Tallow Company, Inc. (which operates under the name BHT ReSources). Birmingham Hide & Tallow Company, Inc. is a third generation, family-owned rendering business based in Birmingham, Alabama, serving customers throughout the Southeast, including Alabama, Arkansas, Florida, Georgia, Kentucky, Louisiana, Mississippi, and Tennessee. Currently owned by Owen and Marsha Vickers, Birmingham Hide has been a fixture of the Birmingham community since before 1900, and has been in the Vickers family since the 1930’s. Wallace B. Riggins founded W.B. Riggins Tallow Company, Inc. in Trussville, Alabama in 1947. Riggins Tallow has long been operated by members of the Riggins family. 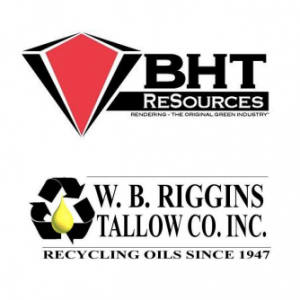 Don Riggins and Wallace (Bass) Riggins, III will continue with BHT ReSources, as will most of the Riggins Tallow employees. If you have any questions about this announcement, or if your business is in need of our services, please contact BHT ReSources at (205) 252-1197 or (800) 990-5638. 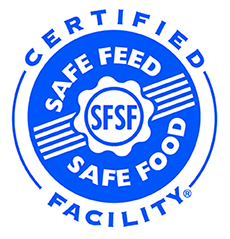 Thank you for your business and continued confidence in our service. View available indoor tank options.